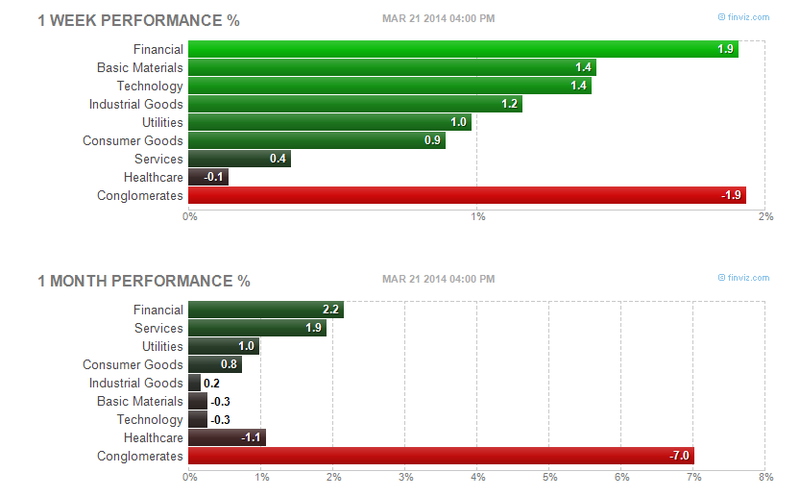 Find best performing sector stocks of week 12, 2014. Top stock industries are Diversified Computer Systems, Music & Video Stores, Oil & Gas Drilling & Exploration, etc. This post will look into the top performing stocks, industry, sector, market capitalization, and small cap stocks. You can invest in your brokerage or retirement accounts. 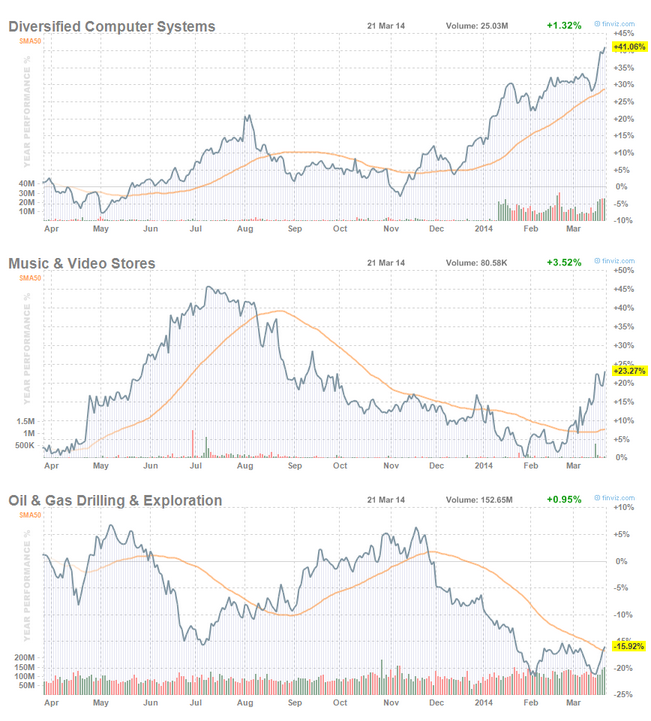 Looking into oil & gas sector can provide an insight what stock market will bring during summer season. Some of these stocks are poised for a big gain. Retail or institutional investors may want to rotate to this sector for driving season.